Livestorm CEO Gilles Bertaux gives his take on the two biggest use cases for ChartMogul, and how it has allowed the team to make more informed decisions. Livestorm is the modern software you need to run a webinar or any live session such as a product demo or customer training call. Livestorm’s vision is to be the best integrated live conferencing suite and is designed to make webinars enjoyable from start to finish. Marketers have been using webinars and live sessions as an active part of their conversion funnel for years now, but the tools they have at their disposal to host webinars are outdated, and have to be managed as standalone apps, completely separated from their automated marketing funnel. They also often necessitate lousy app installs, sometimes only for presenters, sometimes even for participants. With Livestorm, there’s nothing to install. Just register, sit down and enjoy the show. The product was launched at the end of 2016 with a few customers and quickly grew. Now, Livestorm powers live sessions for hundreds of customers with tens of thousands of attendees every month. Customers range from small to mid-size businesses like Pipedrive and Customer.io, to larger corporations such as Bosch. We offer a product driven by data to our customers, so it’s only natural for us to closely monitor our own internal numbers as well. 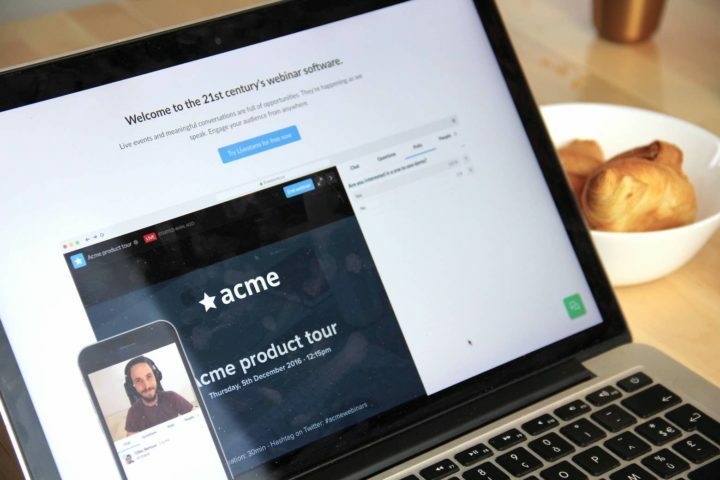 Livestorm helps businesses run better more engaging webinars. When growing a SaaS business, you have a handful of key metrics to track. The first obvious data point you’ll look at is MRR (and its growth). But if you’re not careful, summing up your growth and the state of your business into a few high-level metrics can hide important insights. Thanks to ChartMogul, we can create our own custom data points and tags, adding context to our numbers. Now we’re able to drill down into numbers and trends to understand what’s really going on. One key use case for custom tags is churn classification. We’re asking customers who unsubscribe to tell us the reason for their unsubscribe, then pushing this data into ChartMogul in the form of tags. We can then use segments to exclude specific customers who simply paused their subscription during periods of webinar inactivity. This allows us to think about ways to accommodate these customers without cancelling their plan while keeping their replays active. This is just one example of an insight made clear thanks to ChartMogul — something that helped us drive a product decision. Every Friday, we discuss key metrics with the team. We have 10 data points that we report on, from week-over-week growth, to churn, to Net Promoter Score (NPS), to naming our top five customers and so on. While we don’t get everything above from ChartMogul, there’s a lot that comes from our dashboard, which saves tons of time. Before this, we had to copy and paste info from multiple spreadsheets and sources, and sometimes we couldn’t be 100% sure about the accuracy of our data. Thinking about this time now feels like we were in the middle ages… never again! Our ChartMogul account also comes in handy when reporting to investors. At Livestorm, we raised our first round of investment in the summer of 2017. Today, in addition to keeping our team up-to-date with key metrics, we report to our investors every month. Getting the right numbers and formatting them into monthly presentations is usually a drag, not fun, and often seen as a waste of time. But ChartMogul does a lot of the work for us. Livestorm is one of many businesses using ChartMogul to make decisions and better inform stakeholders. To start discovering your own insights and understanding your customers, create your free trial or contact [email protected].